exerted on world developments. 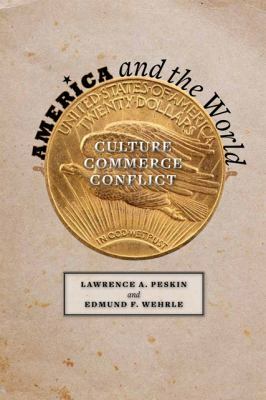 Peskin and Wehrle discuss how the nature of this influence -- whether economic, cultural, or military -- fluctuated in each period. They demonstrate how technology and disease enabled Europeans to subjugate the New World as well as how colonial-American products transformed Europe and Africa and how post-revolutionary American ideas helped foment revolutions in Europe and elsewhere. Next, the authors explore the American rise to global economic and military superpower -- and how the accumulated might of the United States alienated many people around the world and bred dissent at home. During the civil rights movement, America borrowed much from the world as it sought to address the crippling "social questions" of the day at the same time that Americans -- especially African Americans -- offered a global model for change as the country strove to address social, racial, and gender inequality. Lively and accessible, America and the World draws on the most recent scholarship to provide a historical introduction to one of today's vital and misunderstood issues.